A bit of post-Christmas fun, occasioned by a list of Marvel movies ranked in some sort of order that seemed to me to bear no resemblance to anything I’d ever write down. That’s cool – taste and enjoyment are subjective. Still, here’s how I’d order the movies, from least favorite to most. Again: highly subjective, and I put a lot of value on repeat viewing as a “turn my brain off and just have fun” activity. So, here we go. There are twelve Marvel Movies. And I’m going to split the voting up into three tiers. The good news for Marvel (at least from my perspective) is that these are all watchable. The not-so-good news is that for some of them, once they’ve been seen, you’re quite done with them. 12. Iron Man 3 – This one I saw once, and I own the Blu-Ray but I don’t think I’ve ever re-watched the movie. It just never really grabbed me. That being said, there were some fun bits in it, including Tony struggling with his post-Avengers brush with death. 11. Iron Man 2 – The highlight of this one was really the introduction of Black Widow, and the spectacular fight scene with her beating up, well, everyone. They played up Pepper’s role a bit, which was good, and Tony gets his new element to help power his suit. The interaction with War Machine was a fun scene, but still overall not enough to lift it out of the top. 10. Thor: The Dark World – Also known, I think, as Loki 3 (the first two being Thor and Avengers). Tom Hiddleston is such a compelling Loki that it’s worth watching almost just for that. Plus, the pageantry of Asgard is something I love watching. Objectively, I should put this one lower than 10, but I will rewatch this one before the 2nd and 3rd Iron Man movies, so it moves up in my book. Plus: Zachary Levi as Fandril. Boom. 9. Hulk – This one is a good movie, but it’s basically a stand-alone, and the fact that Edward Norton was replaced by the excellent Mark Ruffalo in Avengers and Avengers 2 means that it tends to stay on the shelf. Still, as a self-contained story, it does very well. Norton is a good Banner, and the Hulk is, of course, the huge green rage-monster we’ve grown to know and love. Neither my favorite nor least favorite, these are solid hitters for me. The closer you get to 5 and 6, the less real distinction between them in terms of enjoyment. 8. Ant-Man – This was a heck of a lot more fun than I thought it would be, and a better movie in many respects than my choices for 9-12. I liked the old/new continuity with Michael Douglas as Pym, and the new actors for Ant-Man and Wasp. The Tommy the Train scene (not a spoiler – it was in the trailer) was and is laugh-out-loud amusing, especially for a parent. The interactions with Falcon at the Avenger’s base were well played, and proved Ant-Man can be a serious player, as well as played for laughs. 7. Thor – A controversial choice, I’m sure. Most people didn’t care for it. I, however, never get tired of it. 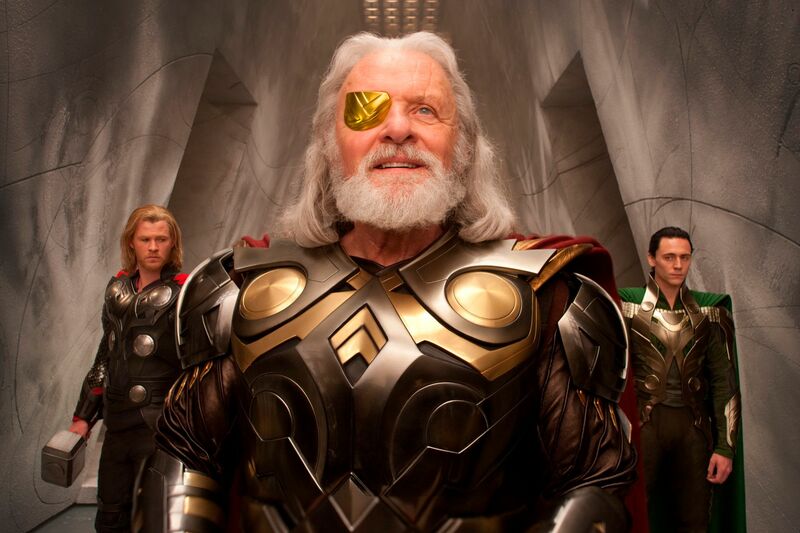 Chris Hemsworth owns the role as Thor, and I’m not sure it was Anthony Hopkins playing Odin so much as it was Odin playing Anthony Hopkins – he’s just that good in the role. Loki gets a smaller but still critical role here, and the tale of the arrogant boy becoming a man – proving his worth by realizing how unfit he is to rule – is enjoyable as hell to me. The movie is simply gorgeous as well, and while Academy Award winner Natalie Portman is underutilized (as she was in Thor 2), she doesn’t make me want to take a screamin’ leap off a cliff by playing scientist. This one moves way up as a movie I will pull off the shelf and just watch. Bonus awesome: Idris Elba as Heimdall? Brilliant. 6. Guardians of the Galaxy – I didn’t really groove on this one personally, but I can see that it’s a good movie, with an interesting plot and characters, each played well. The overall movie is deliberately much more shades of grey (something good? something bad? bit of both?) than the rest of the movies, but that’s not always a selling point for me. I rewatch Thor more frequently than GotG, but I can also see that for most, it’s a better movie. 5. Avengers 2: Age of Ultron – The opening battle sequence, Hulk’s rampage and fight with Veronica, and the final battles are great film-making. The focus on Hawkeye and his vulnerability relative to the other Avengers – plus his hidden home life – is a nice touch. 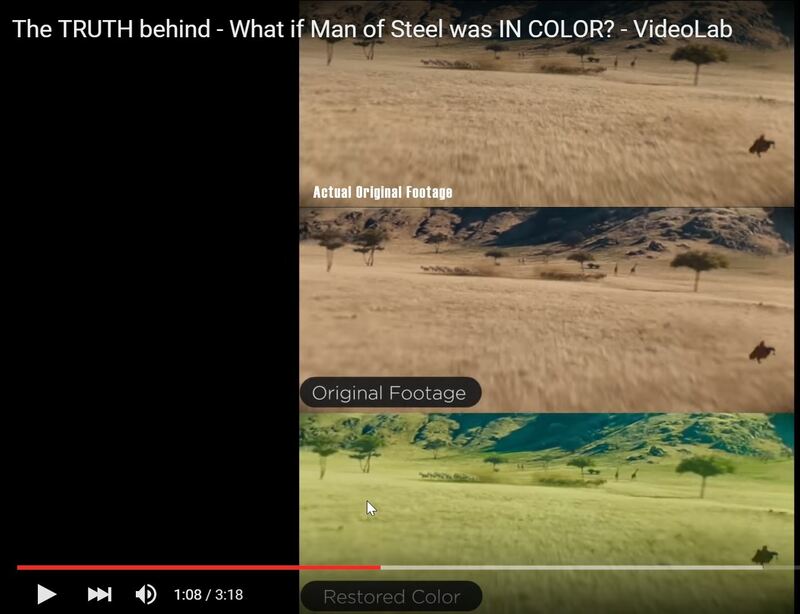 Still, I heard that the movie lost something like 20-40 minutes on the editing room floor, and it shows. Rewatching the movie last night was still fun, though – the interaction between the characters, especially Steve Rogers and Tony Stark, sets up both this movie and Civil War quite well. These are my top four Marvel Cinematic Universe movies, which means they’re some of the best superhero movies ever made, in my opinion. For me, there are two groups of two movies, the merely awesome lower half and the ‘best movies ever made’ top two. 4. Iron Man – What? Fourth? Well, yeah, for me. This was, for a while, simply the best superhero film ever made. The introduction and construction of the first suit was a fantastic beginning, and while Don Cheadle is a great actor, Terence Howard did a great job in this one as Rhodey. The only thing that makes this one fall down a bit is that Jeff Bridges really does chew the scenery in the final confrontation. Oh, sure, the battle itself rocks on toast. But “My suit is more advanced in every way!” is just arrogant crap, delivered badly. And frequently. 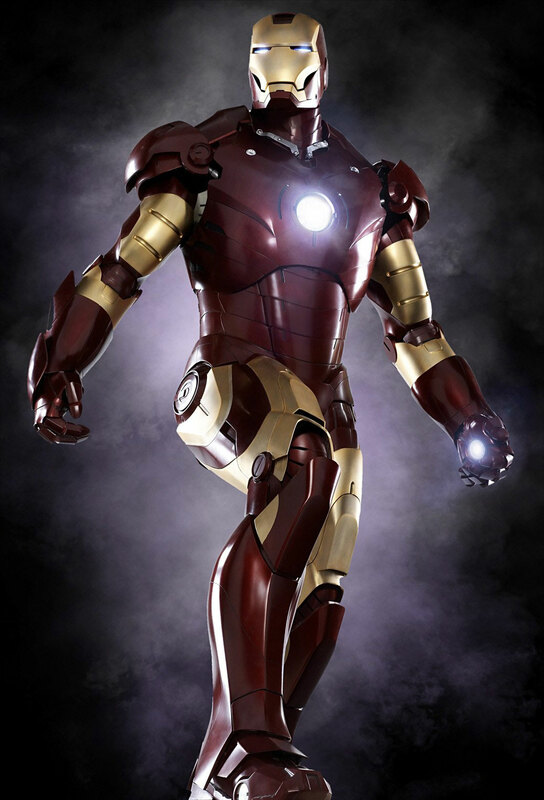 But overall, Iron Man was the foundation of the entire line of movies, giving the runway – deservedly – to some of the blockbusters that followed. 3. Captain America: The First Avenger – This one ranks among my favorite movies of all time, and it’s only number three on my list. I enjoy every moment of this film, from Steve’s recruitment and training, to his first moments as a super-soldier, to his eventual adoption of the Howling Commandos and the fight with Red Skull, and his eventual sacrifice. The movie also gave us Peggy Carter, a wonderful heroine who deservedly got her own TV series. Solid entertainment that was deeply respectful of the patriotic themes of WW2 America, portraying them in a way that could have been corny, but was not. Truthfully, Iron Man and Captain America could go either way. I find Cap a bit more compelling as a hero than Tony, but Robert Downy Junior and Chris Evans both utterly own their roles. And i truly, deeply respect the work both have done bringing the joy of their characters to fans everywhere – especially their work with sick kids. Chris Evans (and Chrisopher Platt) have both travelled to children’s hospitals in costume to spread cheer, and of course RDJ donned his Tony Stark persona to gift a boy with a missing arm with a new Iron Man-themeed prosthetic. Chris Evans has said that Captain America is the kind of man he has always wanted to be – and apparently he’s taking that up as a challenge. 2. Avengers – This is a real candidate for #1, actually. It has the highest rewatch value of all of these movies, and if a brilliant ensembe piece that takes the best from each character. Plus, of course, Loki being so delightfully Loki. From start to finish, this movie defines the superhero ensemble piece. 1. Captain America: Winter Soldier – Simply brilliant, and to bring such moral and ethical complexity to a red-white-and-blue hero that is Captain America was a deft touch, well executed. The big reveal of the movie rippled through the MCU, and Captain America, Black Widow, and relative newcomer Falcon carried the movie quite well. The reintroduction of Bucky as the Winter Soldier was very well done, and the film manages a level of tension that is visceral. So much so that it’s rewatch value is lower than Avengers, but overall it’s the better movie. For me, I’ll gladly re-watch any of my Top 7 at any given moment. The jury is still out on Ant-Man for me, but I’m sure it’ll make it’s way into my collection. I love superhero movies. Great fun, good effects, and a sense of escapism and fantastic immersion that is hard to beat. The best of them have, in the past, made me “believe a man can fly,” and with some of them, can inspire one to better things like the modern Gods they are. In particular, the pairing of Tony Stark and Steve Rogers stand out as well acted, supremely well cast, and flawlessly executed. Tony, other than his origin story, seems to require the others around as a foil to his gigantic personality. I can watch Captain America – and have – in anything he’s in. In fact, I’m about to play in a GURPS Superheroes game, and my character, Commander Samurai, is accurately described as Captain America Lite. 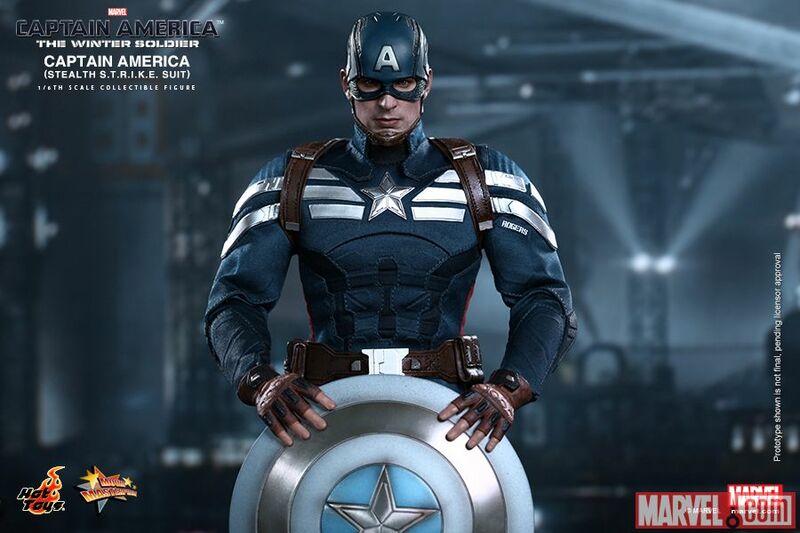 Oh, sure, some differences, because if i’m going to play Cap I’ll actually make and play Cap (though he’d be hard in GURPS; I might have to do that just to see if I can). But I started off with “I want to play a character like Captain America” for a reason. And I simply cannot wait for Captain America: Civil War. Ok, so it’s pretty well known I’m a big Superman fan. Super-anything, really. Especially with my daughter devouring every animated film, TV show, comic book, or movie about the House of El. Sniff. So proud. I was . . . deeply torn about Man of Steel. Henry Cavill was very convincing in the Big Blue Suit. Well, the muted blue suit, due to color palette tuning – and you really need to see The Color Version of the movie to understand how deeply it was cranked to the dingy grey. But the point is that while I found MoS a very watchable movie, I didn’t find it a terribly high-fidelity Superman movie. Of course, one can easily say it’s not a Superman movie – after all, it’s called Man of Steel, not Superman. And that was deliberate, I think. He’s not Superman yet. He starts to get there at the end of the film, and I suspect we’ll see more and more of that through Batman vs. Superman. So I just saw the new trailer. It confirms a lot of things that I’d seen speculated about in the past. The first bit is some sort of gala that frames the central conflict of the film (well, one of them, probably), which is the views of Clark and Bruce regarding their respective roles. It also features a very . . . animated? . . . Lex Luthor. I’m not a huge Affleck fan a priori, but give the man credit – the tired-sounding “Lex . . . ” given when Luthor interacts with Clark for the first time (and the presumption that these guys (Bruce and Lex) run in the same circles? A good one – like the Batman/Superman Lego movie, where Bruce/Lex are both in the running for Man of the Year. Anyway, Lex as ferret-on-crack is going to have to take some getting used to. I strongly suspect that the initial conflict between our polychromatic capes will potentially be resolved in the first half of the film. We clearly have a lot going on, just between the first few trailers. 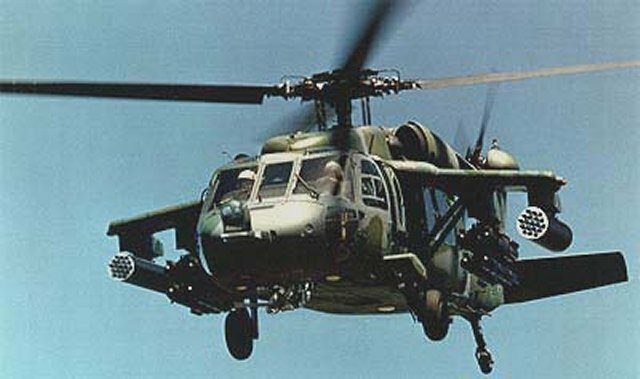 Things we can expect to see? While there’s a good point to be made that Clark saves all of humanity about three times over during the course of the movie, the kind of up close and personal heroics we saw in Superman Returns (much maligned, but I like it well enough) were absent. At least once he donned the cape. The early clips and trailers show him, at the very least, saving the crew/payload (probably crew) of a rocket launch, rescuing people from a flood, and likely other things. It very much looks like the initial issue between Batman and Superman will revolve around a cult following that has sprung up around the Man of Steel. Based on the initial image, complete with Nazi helmets, someone’s taken Nietzsche’s Ubermench quite literally. Not sure where in the world it happens – we see Bruce/Batman decked out in desert gear – so it could be Africa or many places in the American Southwest (I find that particularly likely for several reasons) – but Batman thinks it enough of a problem to intervene directly. The shots of Superman walking past kneeling . . . Nazi-menchen? Uber-Nazis? Meh. Superfans? . . . is interesting, because again it highlights that he doesn’t seem to deal with such threats one-on-one. Beneath him, maybe? Perhaps it’s like the recent episode of Supergirl: there’s no percentage to be gained by a Kryptonian twisting the arms off of a human, no matter how much he deserves it. 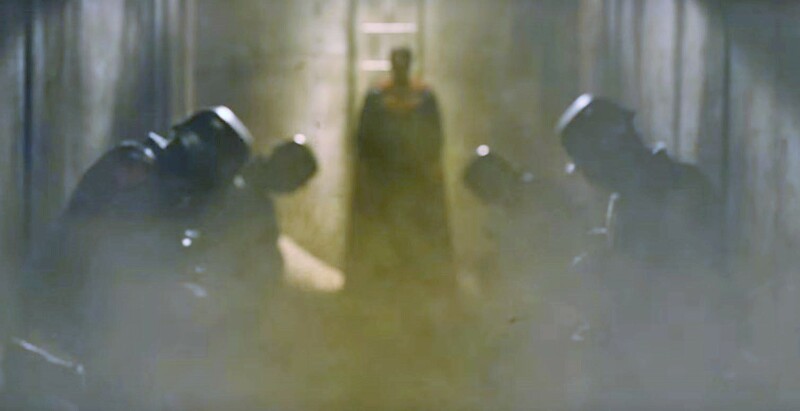 I’ve noted before that the clash in Metropolis and Smallville between Kal-El and Zod was akin to several events the size, scope, and nature of the September 11 attacks on the World Trade Center. One estimate I’ve seen before pegs physical damage at 750 billion and total impact at $2 trillion. The hyping of the “Superman is an illegal alien” thing, while done for both true impact as well as a decent pun, makes no small degree of sense here. You can’t send him a bill. The damage and dead are real. There’s nothing, or at least very little, that anyone can do about him. So there are hearings and tension between Superman and the government. If Clark maintains his “you won’t control me, but you can’t get any more American than being raised in Kansas” position, this is guaranteed to Not Go Over Well. Certainly you’re going to have factions. And some sort of program that says “we need a way to control/deal with this guy” is going to happen. I have to wonder if Cyborg is the US government’s answer to that, while Lex Luthor’s answer is . . .
Doomsday. Why’d it have to be Doomsday? Yep. Confirmed, I think. He grabs Zod’s body, and creates something terrible. This will obviously be the final (and likely epic) conflict of the film. We’ve Seen Three. We will see more. There’s absolutely no question in my mind that this is an ambitious film. It’s a Superman sequel. It introduces the entire Trinity in one film (though Wonder Woman looks to only show up in costume at the end – though more scenes could happen that we’ve not seen yet, of course). It borrows heavily from Frank Miller’s excellent The Dark Knight Returns graphic novel, including, word-for-word, one of the juicy bits of dialog from the Batman v Superman fight in that book. We will see Superman’s role in the world and with the US government (not to mention its people) evolve. We’ll see the emergence of no fewer than six, and maybe more, heroes. We’ve got Lex Luthor. 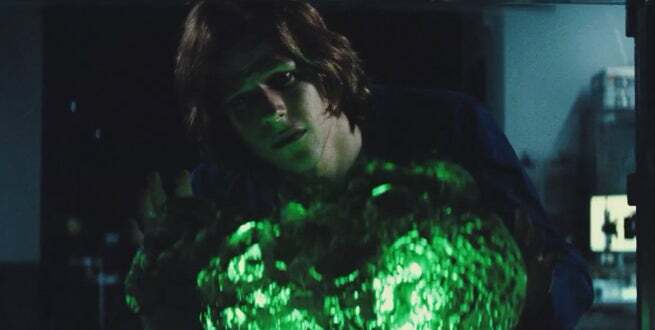 We’ve got Kryptonite. 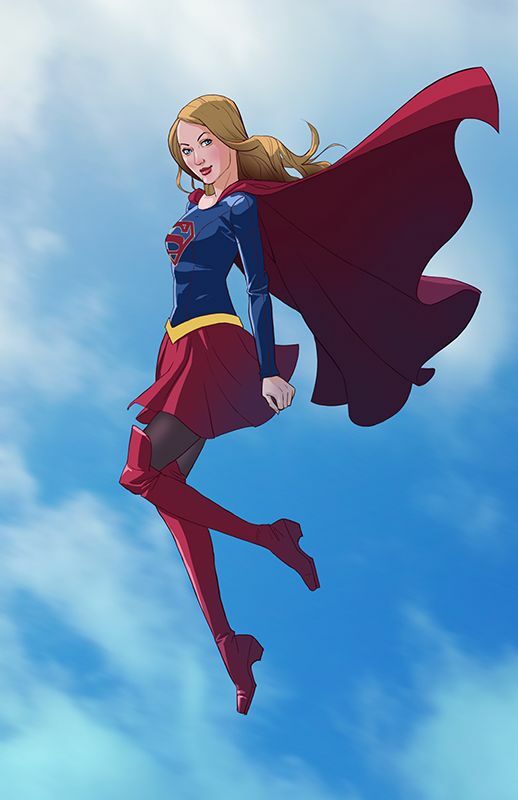 We’ve got Doomsday – and let me tell you, the decision to combine the Doomsday figure and the Dark Knight Returns and maybe some of Justice League:War (in that the good guys all band together vs. a major threat, Doomsday instead of Darkseid) all in one movie means that as much as I noted that the Supergirl pilot jumped from high point to high point with breathless pace, this movie could feel equally rushed. But perhaps not. Certainly, it’s possible that this movie, with all the seeds of awesome liberally sprinkled throughout, will deliver its full potential. As a fan of all three of the main characters (and Green Lantern is growing on me), I certainly hope so. Someone has already re-cut the trailer to be more suspenseful and reveal fewer plot points. So, there’s a 6 minute trailer out. I like it, or more specifically, my daughter will freakin’ LOVE it. 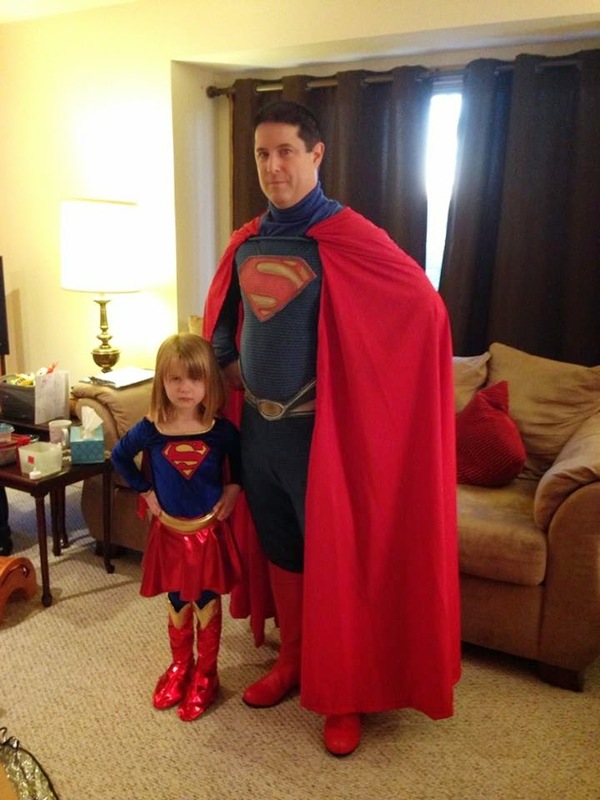 If you’ve watched this blog, you’ll know my family kinda has a thing for Superman. So, I’m not going to talk much about the bulk of the trailer. However, I was chatting with a coworker, and he was asking – what happened to Superman? How did he not know and show up? Well, if you feel like breaking out the frame-grabber, you can see it. 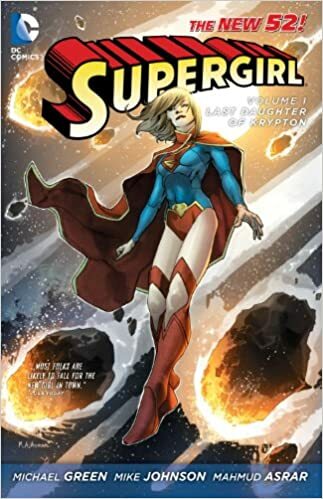 Between the launch of Kara Zor-El’s spaceship and a furious set of near-subliminal images, you can see a few things, some of which are known already. So there you go. 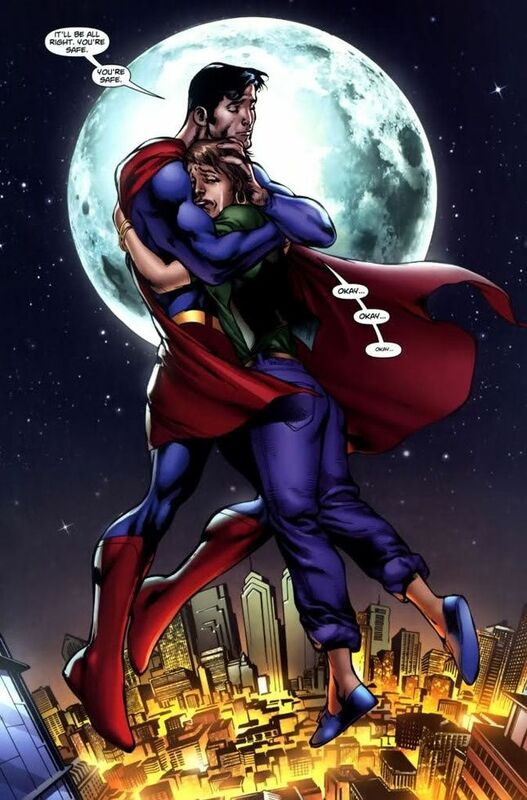 Superman is well aware, thank you very much, of the existence of his cousin Kara. The house in the background, you see it in the next frame with the Danvers’ in front of it. 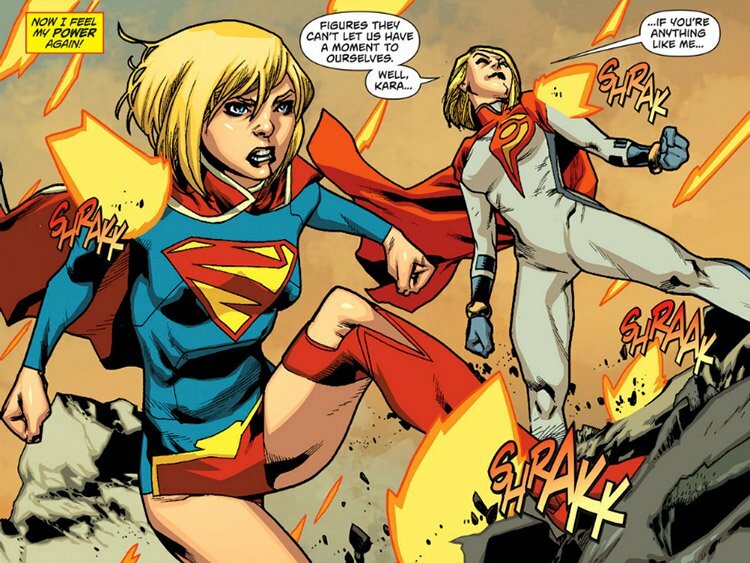 Who are the Danvers, you ask? 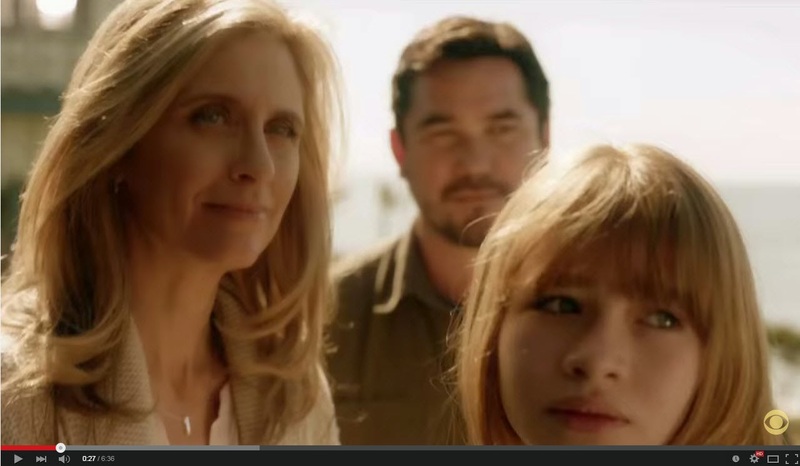 Dean Cain and Helen Slater, for a spectacular bit of symmetry. And Dean Can is awesome. Just sayin’. My coworker also noted that Kara pretty much “tells everyone” the Secret in the trailer. Hmm. Don’t think so. Her stepsister? She already knew, obviously. And her parents. And Kal-El. He delivered her to the house, as a little girl – well, maybe not so little. Ten to twelve years old, I think. So . . . I’m betting the only person that didn’t know the Secret was the guy who asked her out, and she told after she rescued the plane. James Olsen? I bet he already knew. Superman sent him to watch over Kara. Anyway, I hope the show is good, though it’s clearly a bit too close to the Black Widow Parody SNL did. But that doesn’t bother me because while that’s spectacularly out of character for the freakin’ Red Room assassin, it’s not out of character at all for Supergirl. Go look at her brief encounter with Nightwing in the Last Daughter of Krypton run.